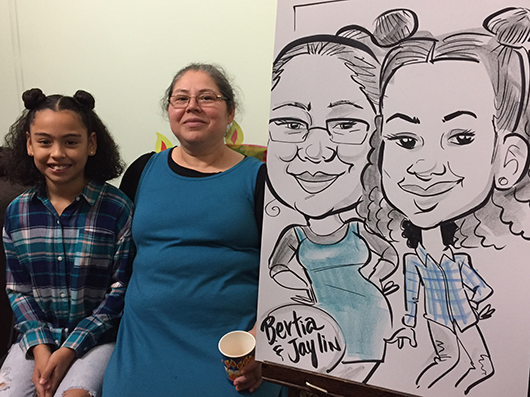 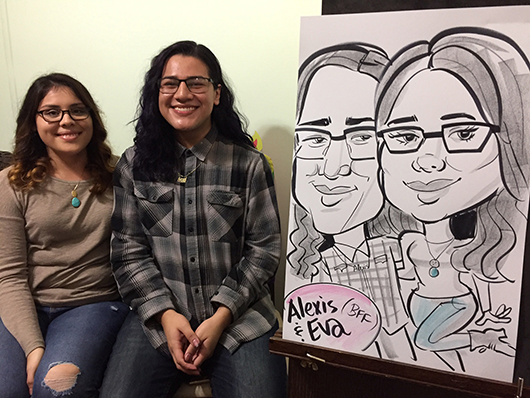 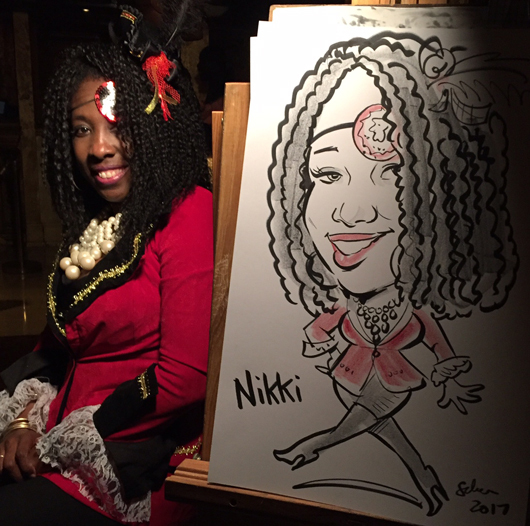 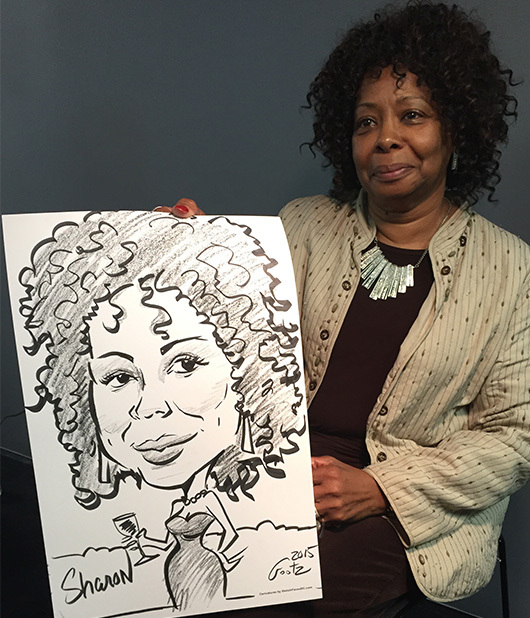 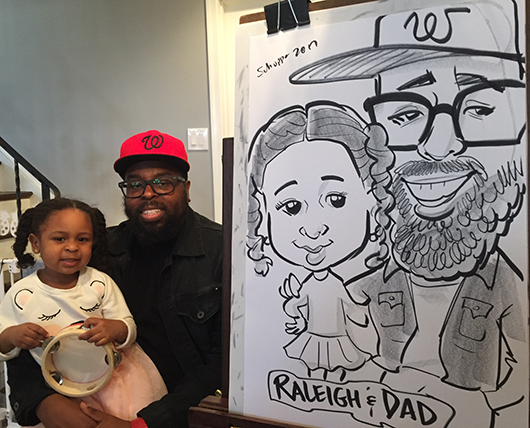 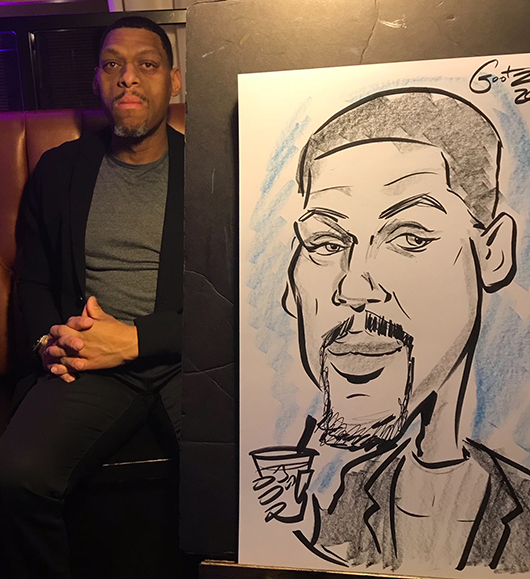 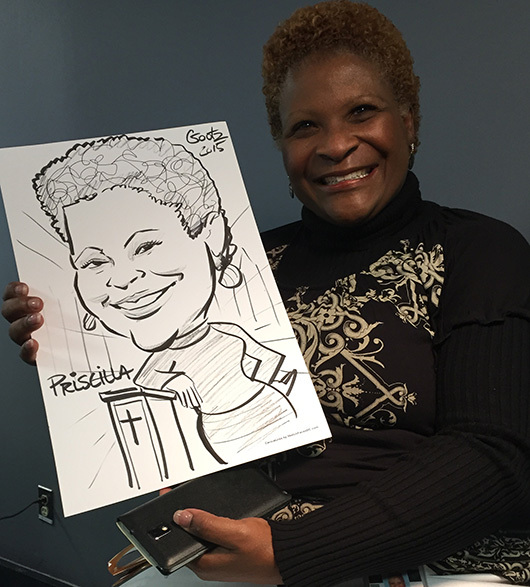 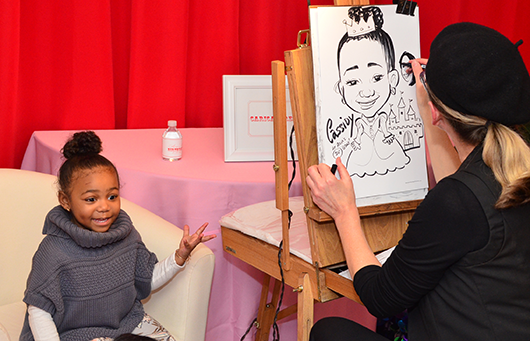 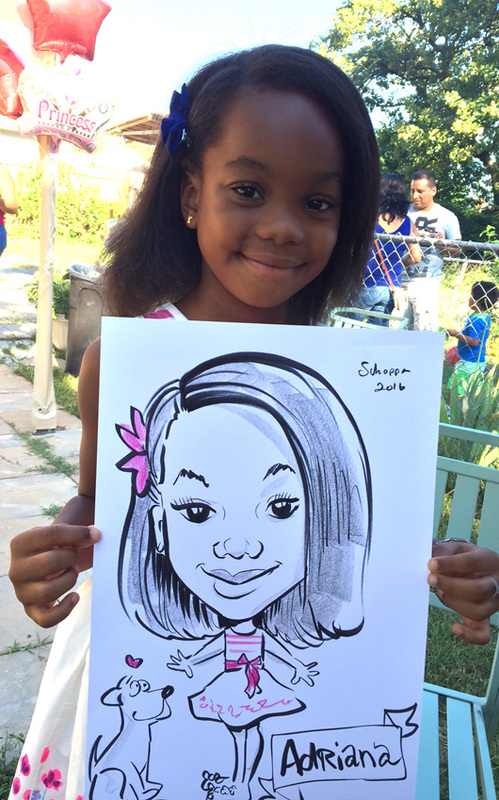 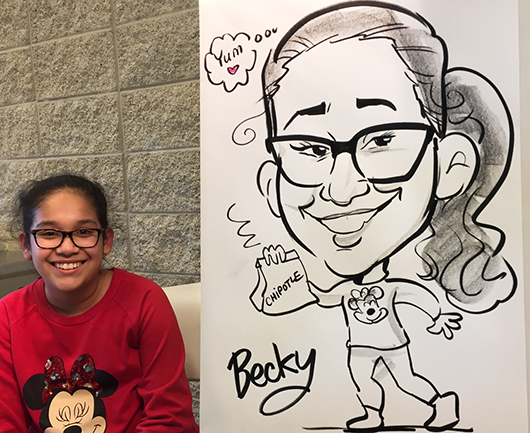 Caricatures make a great addition to birthday parties. 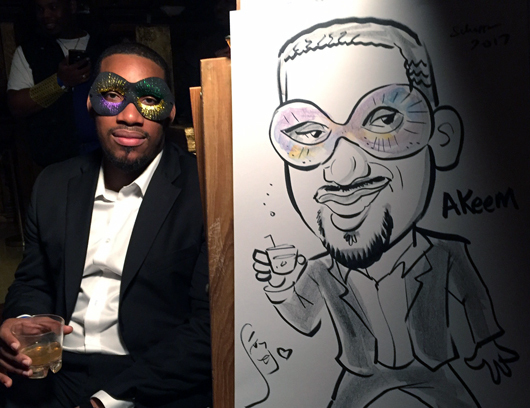 Guests are entertained, AND they get a one-of-kind party favor to remember the event! 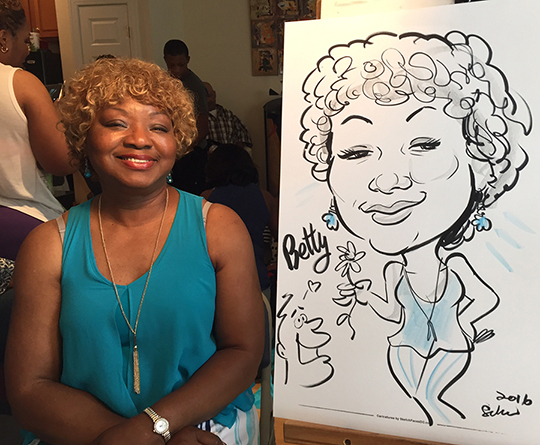 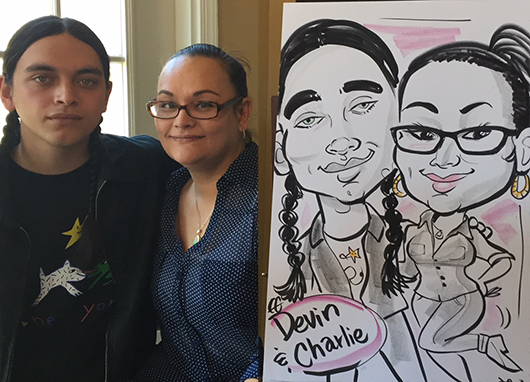 Laura drew live caricatures at a sweet sixteen party at the Potomac Shores Golf Club in Dumfries, Virginia. 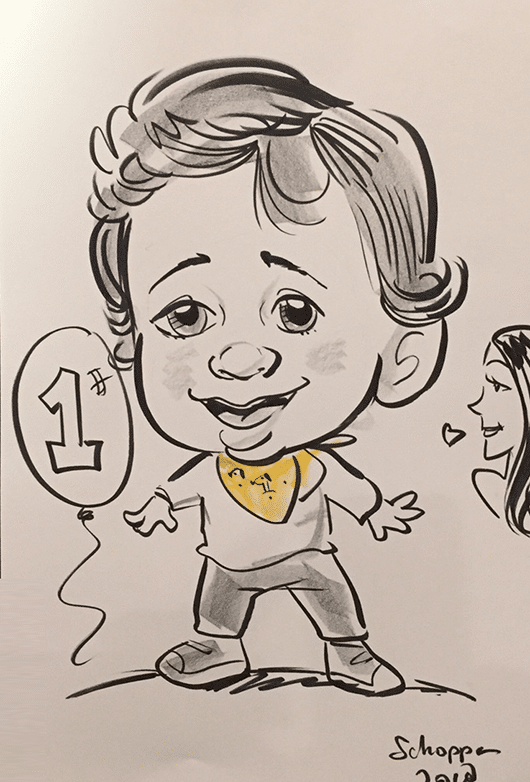 One from a recent 1-year-old-birthday party. 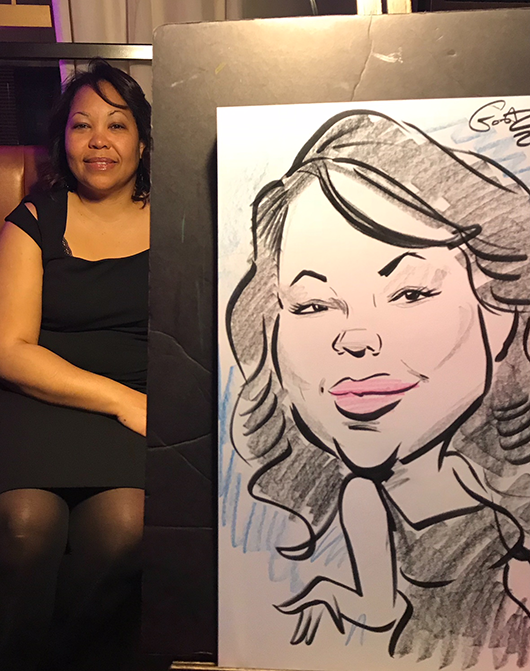 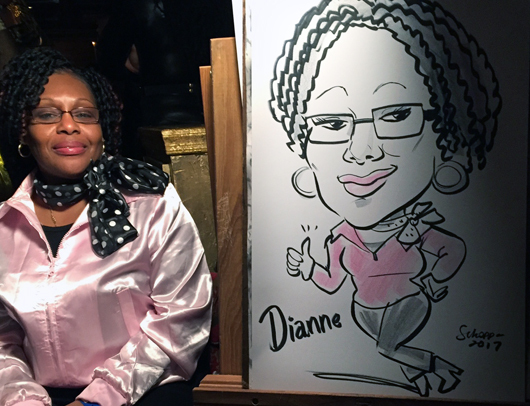 Laura drew live caricatures at a costume-birthday party at SAX DC. 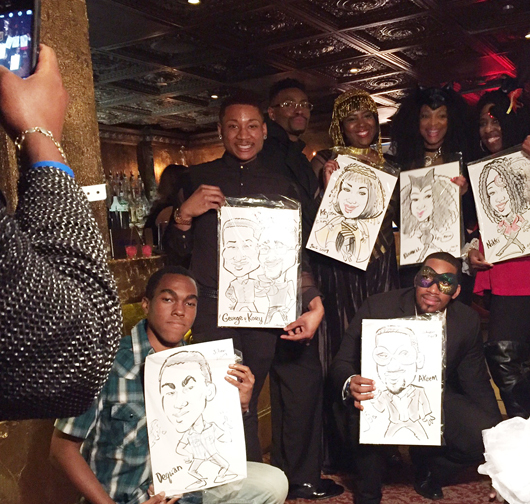 Amazing guests in an amazing venue! 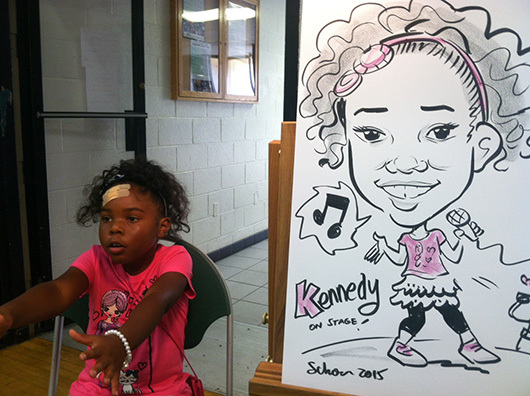 Here are a few from random events from last year! 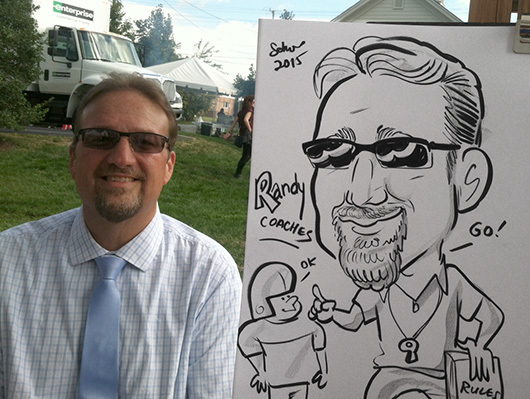 He’s a coach! 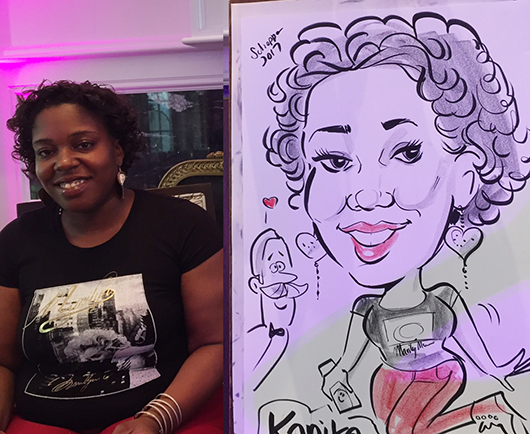 Laura drew this one at an employee event. 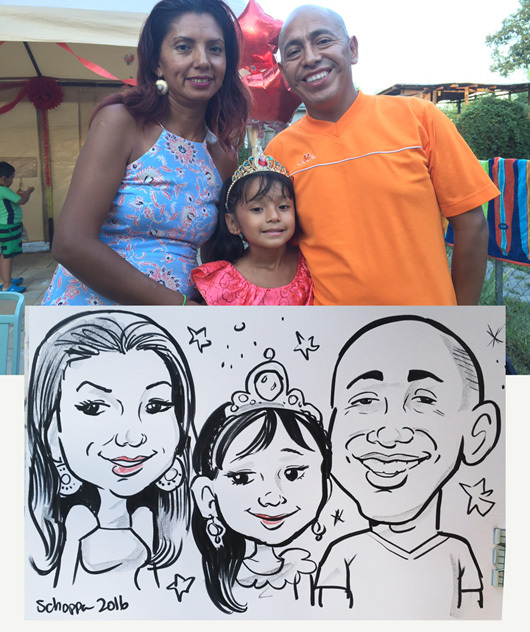 One from a birthday party! 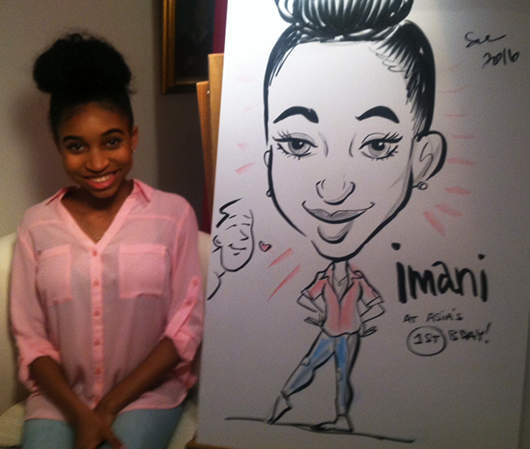 Mark drew her at a party!